You can do what you want with this, AS LONG as you credit me for the original mod and CREDIT Pingel, infopablo, FreqMan and FaireDesVagues from The Freesound Project for the recordings! But keep in mind that these recordings are licensed under a Creative Commons Sampling Plus license. Contains recordings by Pingel, Kaffein, FreqMan and FaireDesVagues from The Freesound Project (www.freesound.org). These recordings are licensed under a Creative Commons Sampling Plus 1.0 License. 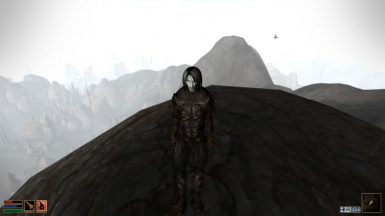 I always thought the sound effects for the thunders in Morrowind were kind of lame, especially the fact that they arrived at the player the same instance that the lightning struck. So since I'm pretty handy at sound editing ;) , I decided to do something about it. 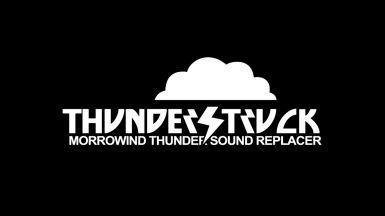 This little mod contains four real recordings of thunders from The Freesound Project which I cut, cleaned and converted for use in Morrowind. The game contains eight different sounds for thunders, but only seems to use four of them, so this mod only replaces those four. If at some time I find out that the game actually uses more, update this mod I shall. None. Works on a completely unpatched vanilla Morrowind installation as well as a fully patched Game Of The Year installation.